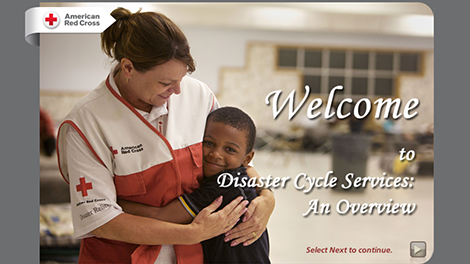 When Red Cross went through a reorganization, they needed to rethink the way they presented their introductory course on disaster services. 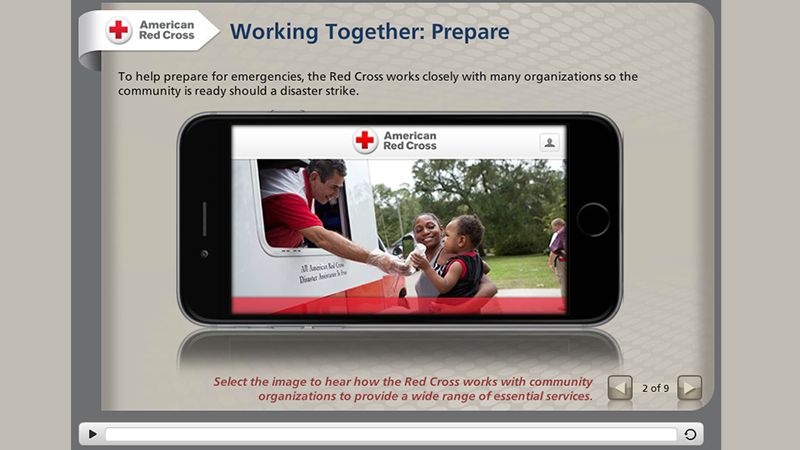 PowerTrain helped Red Cross reimagine the material to match their new paradigm, emphasizing a holistic cycle designed to meet the needs created by each individual disaster, from local to national. 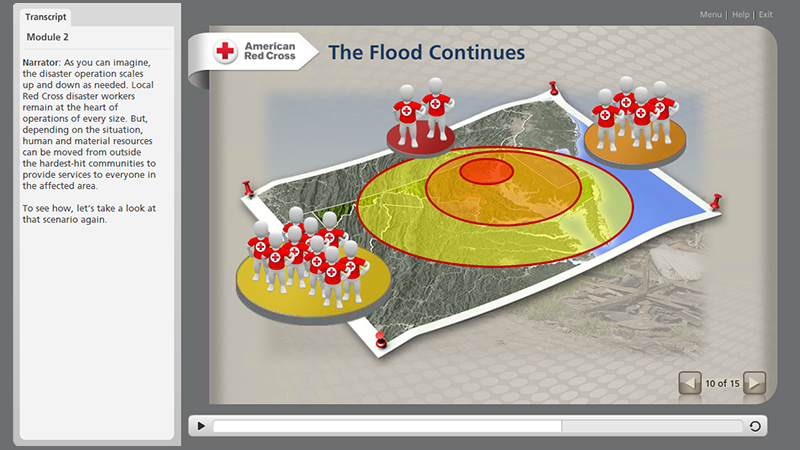 To create realism and reflect the paradigm shift, PowerTrain created a fictional flood scenario that came alive through videos and testimonials and weather reports, illustrating the phases and far-reaching branches of Disaster Cycle Services. 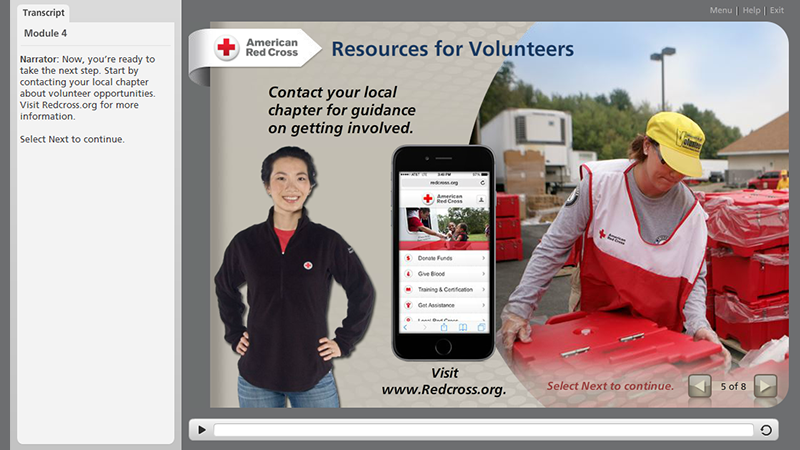 Using Articulate Storyline, PowerTrain also delivered a fresher look and increased interactivity for a course designed to get people excited about the Red Cross mission and becoming a part of the disaster workforce.